For more information about this property, please contact MARK SLADE at 973-762-5400 or sladehomes@gmail.com. You can also text 4732966 to 67299. As is estate sale. Terrific investment opportunity. For more information about this property, please contact MARK SLADE at 973-762-5400 or sladehomes@gmail.com. You can also text 4732965 to 67299. Spacious 3rd Floor 1 bedroom apartment with ample closet space and an eat-in kitchen. Within walking distance to train station. Lease includes one parking spot in back lot. For more information about this property, please contact MARK SLADE at 973-762-5400 or sladehomes@gmail.com. You can also text 4721559 to 67299. 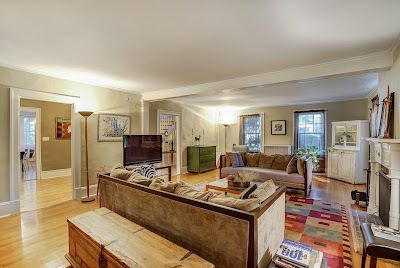 This 4 bedroom/2 bath home is located on one of Maplewood's most picturesque streets. Enter this recently renovated home through the charming front porch. Step into an interior that boasts walnut trim throughout, an open floor plan and three levels of living space. The kitchen features stainless steel appliances and tile back splash and the formal dining room is accented with a stained glass privacy window. Both bathrooms have been tastefully renovated: a full bath on the first floor and the stunning second floor bath with a double sink and marble counter top that complements three bedrooms; there is a fourth bedroom on the third floor. There is a bonus area off of the living room that works as an office or playroom and a back deck with an adjoining mud room. For more information about this property, please contact MARK SLADE at 973-762-5400 or sladehomes@gmail.com. You can also text 4719421 to 67299. Building includes 4 unfinished 3-bedroom/1-bath apartments and 1 store front with office and powder room. There is also a "flag lot" that measures approximately 47 x 111 IRR that is included. Store front has been configured as a church sanctuary and includes all furnishings and equipment. Possible location for a laundry. For more information about this property, please contact MARK SLADE at 973-762-5400 or sladehomes@gmail.com. You can also text 4710150 to 67299. Two-story approx. 2300 sq. ft. office building in the heart of South Orange Village. Located in a B-2 zone allowing for professional offices, retail or mixed use. Two offices, bathroom and shared break room on the first floor. Second floor has large and light-filled loft-style office. Fully built out lower level with full bath.Building is within walking distance to the South Orange train station with direct service to Hoboken and NYC. 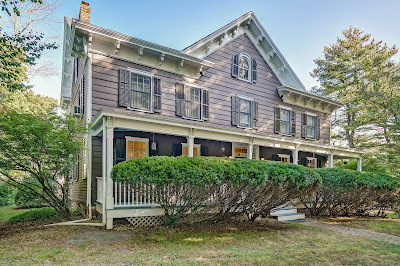 Also walking distance to downtown area with shops, restaurants and the South Orange Performing Arts Center.Driveway behind building with space for four cars. Additional parking available on street or in nearby municipal lots. For more information about this property, please contact MARK SLADE at 973-762-5400 or sladehomes@gmail.com. You can also text 4710149 to 67299. This time of year is so incredibly beautiful with the range of colors found in the fall foliage. So, it goes without saying that its a great time to FALL in Love with a New Home. 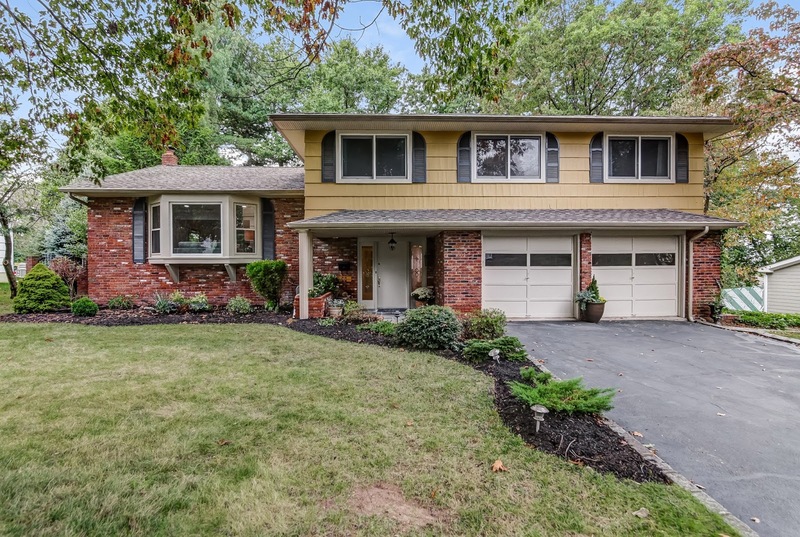 16 Osborne Terrace, Maplewood, NJ 07040 asking $629,000 for this 5 bed/2.5 bath home in the Tuscan section of Maplewood. 16 Unami Lane, Scotch Plains, NJ asking $1,100,000 for this custom home with beds and 3 full baths on over an acre of property. 307 Hillside Place, South Orange, NJ asking $725,000 for this 5 bed, 3.5 bath home right off the park. Pristine, like new 2 bedroom apartment on 2nd fl. of a 2 family home. Heat & fridge included in lease. Available immediately. Close to train station. For more information about this property, please contact MARK SLADE at 973-762-5400 or sladehomes@gmail.com. You can also text 4685658 to 67299. 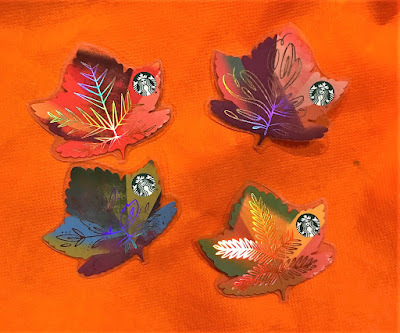 I so love this time of year when the leaves become colorful brushstrokes on the landscape. Living in South Orange and Maplewood, we get the extra benefit of bordering the South Mountain Reservation and a valley view upwards of color. This drone video was filmed by Ken Siegel (973-517-0384) and features parts of the park system of South Orange--Flood's Hill and The Baird Center--with the tennis courts, baseball fields, platform tennis courts, basketball courts and fields for soccer, frisbee and live music. They also happen to be 2 houses from my newest listing--307 Hillside Place--which you won't want to miss! 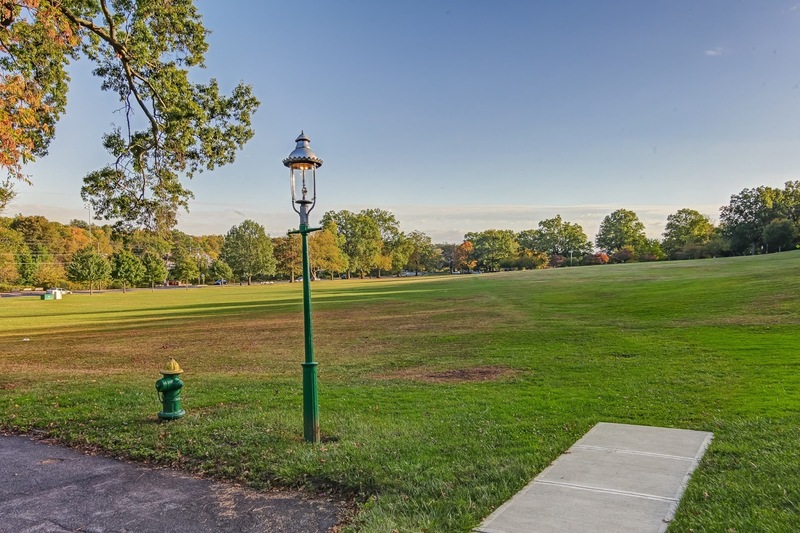 Imagine having a home perched just off this wonderful park system where you can enjoy everything from live music to sporting events to sledding and so much more! Call me at 917-797-5059 to set up a showing appointment before its too late! Charming Dutch colonial with 14 x 28 in-ground pool with with wood deck and a private, fenced in yard. Close to Jitney to NYC train and shopping area. For more information about this property, please contact MARK SLADE at 973-762-5400 or sladehomes@gmail.com. You can also text 4679656 to 67299. For more information about this property, please contact MARK SLADE at 973-762-5400 or sladehomes@gmail.com. You can also text 4662854 to 67299. For more information about this property, please contact MARK SLADE at 973-762-5400 or sladehomes@gmail.com. You can also text 4660657 to 67299. This charming, historic 5 bedroom, 3 bath home is on a very desirable street close to town, NYC trains, pool, parks and tennis courts. Full of period details, hardwood floors and great moldings. For more information about this property, please contact MARK SLADE at 973-762-5400 or sladehomes@gmail.com. You can also text 4658301 to 67299. When summer ends, some people cover their patio furniture and stash their gardening tools away until the first sign of spring in the next year. More and more people, however, are embracing the great outdoors outside their homes with a number of interesting landscape trends. Want to buy this firepit? 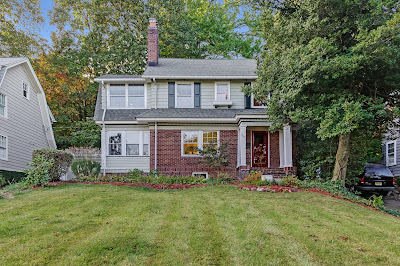 it comes with a great home--26 Washington Park, Maplewood, NJ. Plan a fall garden with as much fervor as you’d plan your spring garden, focusing on plantings like boxwoods and maples that reach peak bloom during fall and winter. And when you can’t stand the cold any longer, you can bring the green inside with whole walls made out of green plants and tropical gardens nurtured inside year-round. Need a little boost in creativity? I’m happy to take your call ((917) 797-5059) or stop by to offer some specific tips for you and your yard. Beautiful center hall colonial. Renovated gourmet eat-in-kitchen with top of the line appliances recently designed by local architect John James. On a quiet cul-de-sac with a private backyard. The minute you enter the entrance foyer, you will sense that you are witnessing luxury living. The first floor offers a living room that features a gas fireplace,a sunroom with yet another fireplace (this one wood burning) and formal dining room as well as a mud room and powder room. 2nd level features 3 large bedrooms, updated hall bath with double sink. Walk-up attic space allows plenty of room to expand. New patio with fire pit installed in the back yard for amazing entertaining options. Close to schools, town, jitney to train station. On one of Maplewood's most desirable streets, it's a must see! For more information about this property, please contact MARK SLADE at 973-762-5400 or sladehomes@gmail.com. You can also text 4650098 to 67299. Luxury NYC Style Loft steps away from NY train. Stunning open floor plan with 17' ceilings, gourmet kitchen with granite counters, high-end appliances, center island, cherry cabinets & two pantries. The first floor also features an amazing master bedroom & bath, powder room & and walk-out terrace. Right off the entry foyer there is a spiral staircase to the 2nd floor office, giving you a view of your castle. At the top of the regular staircase you will find 2 bedrooms, a full bath and balcony. Additional amenities include: California style closets, basement storage and and 2 zone HVAC for cooling & heat. This elevator building is fully sprinklered with thermal windows throughout and is conveniently located just 1/2 block to NJT trains, shopping, restaurants & farmer's market. For more information about this property, please contact MARK SLADE at 973-762-5400 or sladehomes@gmail.com. You can also text 4643984 to 67299. Does it really Matter(port)? How we sell homes for the most money! Maplewood, South Orange, Short Hills, Millburn, Montclair, Glen Ridge, Livingston, Hoboken, Jersey City, Essex Fells, West Orange, Roseland, North Caldwell, Caldwell, West Caldwell, Cedar Grove, Verona, Summit, New Providence, Berkeley Heights, Westfield, Cranford, Union, Scotch Plains, Fanwood, Kenilworth, Rahway, Roselle, East Hanover, Florham Park, Chatham, Madison, Morristown, Wayne, North Haledon, Lincoln Park, Basking Ridge and Bernardsville. For Buyers we are ABR certified which allows us to consistently help our buyers find the right homes while making sure the process is managed successfully to get you to the closing table where you will get the keys to your new kingdom. For Sellers we have a cutting edge, tech savvy, strategy ( www.sladesells.com ) that enables our sellers to benefit from an average price paid for their properties that was 3.2% more than the average agent from the same MLS in the same towns. This effectively “reduces” the cost of selling by slightly more than half the typical transaction cost for our clients. Need to Sell and Buy at the same time? We pride ourselves on making this as smooth a move as possible for our clients! We are trained by Otteau Valuation Group to conduct an Advanced Comparable Analysis ( www.advancedcma.com ) when trying to best understand the value of a property at any given time. Our team is comprised of premier local experts to assist you with all your real estate needs in Essex, Union, Morris counties as well as some Hudson, some Passaic and some Middlesex. Whether you are a First Time Home Buyer, a current home owner needing more space or an empty nester looking to downsize, we have successfully helped our clients with over 275 closed transactions while maintaining the highest levels of service with integrity. We own and operate 7 Websites, including one site dedicated solely to our luxury listings (we are CLHMS certified). We also own and operate 30 town-specific Open House sites, thus blanketing the area with information for thirsty buyers. Lastly, we own and utilize over a dozen Social Media sites and pages as well as 353 domains to provide quick-find solutions and answers for our clients. Our clients love us because we make the home buying and selling process as easy as possible. We are a 24/7 responsive team. We are also a Team that GIVES BACK to over a dozen charities and organizations. Why Live in New Providence? 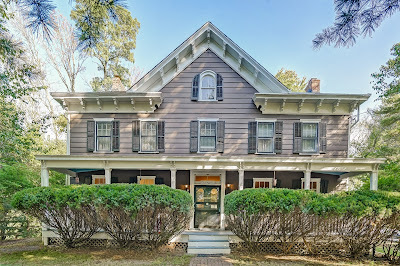 I just listing this amazing home with an incredible history in New Providence. New Providence has always been known for its schools and access to NYC trains, but a couple of years ago NJ Monthly rated it the number one school in New Jersey, displacing the multi-year winner--Millburn. They keep playing with the methodology of ranking and, as a result, the ranking moves around; however, New Providence continues to be one of the top rated school systems in New Jersey. NEW PROVIDENCE, NJ – It is all about character, not only in the New Providence schools, but also in the community at large. This was the core theme as the district administration, staff, students, parents and community members celebrated for New Providence School District being named as one of the four National Districts of Character. 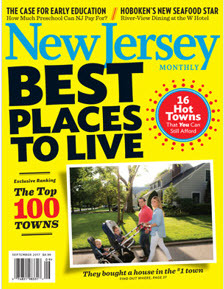 The news is out, the borough is ranked the eighth best place to live in New Jersey according to New Jersey Monthly’s newly published list of the Garden State’s Top 100 Towns. New Providence is part of Union County, offering lower taxes than similarly priced homes in Essex County but still a very commutable location for NYC workplaces. Chart rank: 8 (2015: 69) a noticeably higher ranking. Why It’s Hot: Commuters who land in this 3.65-square-mile borough enjoy two train stations and a growing downtown that adds to its appeal. Not too long ago the downtown offered nothing but banks and nail salons. Now there is a Starbucks and a Chipotle as well as many other well known restaurants. Neighborhoods: New Providence shares the leafy and welcoming Murray Hill community, longtime home of Bell Labs (now part of Nokia), with neighboring Berkeley Heights. Other desirable neighborhoods include West Summit and Tall Oaks. Buyers are flocking to each to avoid the higher-prices for homes in nearby Summit and Chatham. Fun Fact: Numerous branches of Salt Brook carve their way through the borough, join near the center of town and flow into the Passaic River. More than 9 percent of the acreage in New Providence is permanently protected, publicly owned parkland. Only a 1/4 mile walk to New Providence Mid-Town Direct train station. Less than 1/2 mile walk to downtown which now has a Starbucks! For starters, the property sits at a higher elevation than all surrounding homes, giving it amazing stature. Additionally, as with old traditions, the house has a 52" wide front doors (making it much easier to move the Sub Zero and 8 burner Viking Range into the home) that were deemed a reflection of the more important the person the bigger the front door. The idyllic front porch offers a ceiling painted sky blue, customarily done to give you the setting as if you are looking at the sky while sitting on your front porch. Furthermore, Strafford Farms, a previous owner of the house, then developed the area now know as The Pine Way in 1947. A bucolic winding way with pine trees and no above ground electric (no wires nor poles) on Pine Way making it a most desirable neighborhood. American Chestnut stairs and molding. Western Red Cedars planted in patio for a private surrounding in addition along side the driveway. September 2014 installation of new upgraded Williamson(Weil-McLain) 175 BTU natural gas boiler, radiator steam heat resulting in energy efficiency and lower heating bills. September 2017 new Honeywell thermostat installed. September 2014 installation of new 50 gallon AOSmith electric hot water heater. September 2017, 2 new installed 1/2 hp sump pumps with outside discharge. Preventative maintenance. September 2017 2 and 3 floor blown insulation and third floor caulking. Energy efficiency advantage. September 2017 both chimneys flashed. September 2017 Shower and tub drains snaked. Bathroom sinks drained and new trap installed 2 nd floor sink. Anderson series 400 replacement windows in both bathrooms. Marvin replacement windows above kitchen sink. Selling a New Providence, Summit, Springfield, Mountainside, Berkeley Heights, Westfield area home involves many steps and having an experienced Berkeley Heights/New Providence New Jersey Real Estate Agent and Realtor®, specializing in the Bedroom Communities of New York City in Union County— Berkeley Heights, Summit, New Providence, Westfield , Scotch Plains, Fanwood, Springfield, Cranford and Westfield--by your side will make the transaction run a lot smoother. I would love to be your Springfield,/Mountainside/Berkeley Heights/Summit/New Providence/Westfield New Jersey Area Real Estate Professional! I assist both buyers and sellers in the Bedroom Communities of New York City, mostly served by NJ Transit’s Mid-Town Direct Train Lines, offering commutes of 45minute or less to NY Penn Station, with either the purchase and or sale of residential real estate. Our www.unioncountyproperties.com brings us several new buyers every day which helps us sell our Union County Listings for more money and in less time. Breath taking custom built 4 bedroom, 3 bath home situated on 1.16 private, green acres at the end of a cul-de-sac. This European style home is surrounded with beautiful landscaped grounds w/fountain. The entrance way opens to dramatic archways and Brazilian cherry wood floors. The great room includes soaring ceilings and a beautiful gas fireplace that adds warmth to the open floor plan.The kitchen and dining room have Italian marble floors. The gourmet kitchen (eat-in) features stainless steel appliances, Jennaire refrigerator and dishwasher, Zodiac counter tops, Wolf stove & Miele coffee station. The master bedroom includes a fireplace, balcony and master bath with Jacuzzi and steam shower. For convenience, the laundry room is next to the master bedroom. Rheem heating and AC units (2 each). For more information about this property, please contact MARK SLADE at 973-762-5400 or sladehomes@gmail.com. You can also text 4641455 to 67299. This beautifully maintained Victorian sits at the gateway to Pine Way Farms.It combines the best modern conveniences with period charm. Features incl. HW floors, chestnut moldings & 9' 1st fl ceilings Imagine enjoying a refreshing drink on your expansive front porch, designed to give you the impression of still having the sky above you. The sunlit foyer is exceptionally large, complementing your super-sized living room & dining room. Enjoy cooking in the updated eat-in-kitchen with granite counters, pantry or have a cup of coffee in the sun room; don't forget there is also a full bath. The 2nd floor boasts 4 generously sized bedrooms, plus an office/nursery & a full bath. The walk-up 3rd floor offers great potential for expansion. Great location. Easy walk to trains to NYC, Salt Brook School and shopping. For more information about this property, please contact MARK SLADE at 973-762-5400 or sladehomes@gmail.com. You can also text 4641454 to 67299. For more information about this property, please contact MARK SLADE at 973-762-5400 or sladehomes@gmail.com. You can also text 4641453 to 67299. For more information about this property, please contact MARK SLADE at 973-762-5400 or sladehomes@gmail.com. You can also text 4641452 to 67299. Unique stately home situated on park-like setting walking distance to SO Village & train. 3 bedrooms, 2 full baths on 2nd floor. Renovated kitchen & powder room on 1st floor. One of the two baths could easily be made as part of a master suite. Expansion opportunities on 3rd floor. House has been meticulously updated and maintained and also includes new roof on house and garage, new boiler, new washer/dryer -- conveniently located on second floor. Grow your own vegetables and enjoy your own private "Farm to Table" sanctuary in sun filled front garden. Jitney to NJ Transit train picks up at corner. South Orange tax re-evaluation recently completed. Tax assessor can provide final tax amount. For more information about this property, please contact MARK SLADE at 973-762-5400 or sladehomes@gmail.com. You can also text 4641451 to 67299. Apartment above well loved neighborhood restaurant in more of a residential neighborhood. Oversize master bedroom with vaulted ceilings and tons of closet space. Also one smaller bedroom, full bath and living room-dining room-kitchen combination. Bright, sunny and quiet. For more information about this property, please contact MARK SLADE at 973-762-5400 or sladehomes@gmail.com. You can also text 4641450 to 67299. Classic center hall colonial with 4 bedrooms, 3.1 baths. Finished basement with rec. room, office and full bath. I block from Jitney to NYC trains. Close to Village and schools. For more information about this property, please contact MARK SLADE at 973-762-5400 or sladehomes@gmail.com. You can also text 4641449 to 67299. Charming colonial with original details, updated eat-in-kitchen, modern baths, as well as Large 3rd floor master BDRM suite with AC, W-I-C, Full Bath & Sitting room, located in College Hill section In addition to the updated kitchen, there is a formal dining room, generously sized living room with fire place, complemented by a sunroom. Renovations were completed in 2012. There is also a large backyard that is fenced-in that includes a brick patio for outdoor entertaining. A 2-car detached garage rounds out the property. Easy access to Village & NYC train. Close to schools and zoned for Tuscan Elementary School. Great places to eat, work out, etc. are very close by. For more information about this property, please contact MARK SLADE at 973-762-5400 or sladehomes@gmail.com. You can also text 4641448 to 67299.